At the halfway mark of SUPERSEAS, a four-year project funded by the Netherlands Organization for Scientific Research (NWO) and led by Wageningen University and FISH, research results indicate that there are four interrelated governance components to area-based management (summarized in Figure 1). First, how farmers organize to respond to systemic environmental risks related to disease and water quality remains a key factor of any area-based approach. However, exactly how farmers organize depends on the scale of their collective or shared production risks. As Mariska Bottema, a PhD researcher at Wageningen University, describes, cooperation should be defined by the socio-spatial extent of farmer networks within which the perception of risk is homogenous, and nested socio-spatial areas should been seen as building blocks to the management of wider landscapes. Second, any actions taken at the farm level need a measure of assurance that they are in fact contributing to the mitigation of production risk. Risk-assurance tools, including certification, have traditionally been developed for the farm scale, potentially placing a disproportionate burden of compliance on smallholder farmers. However, new assurance models appear more promising, including government-led monitoring programs of common resources supported by yield-gap models. Third, once assurance is in place, risk-transfer arrangements can be designed. A key element of these arrangements is that they can reduce information gaps between what the presumed and actual production risks are. Once validated information is available, external (insurance company) and mutual (farmer-led) insurance arrangements can be developed. Fourth, supermarkets also face risks in terms of matching demand for aquaculture products with supply. It would appear to be in their interest to create inclusive arrangements for groups or areas that incorporate producers in their supply chains. However, supermarkets are only likely to support such changes to their supply chains if they have adequate assurance of how farmers are organizing themselves collectively to mitigate their shared risks. 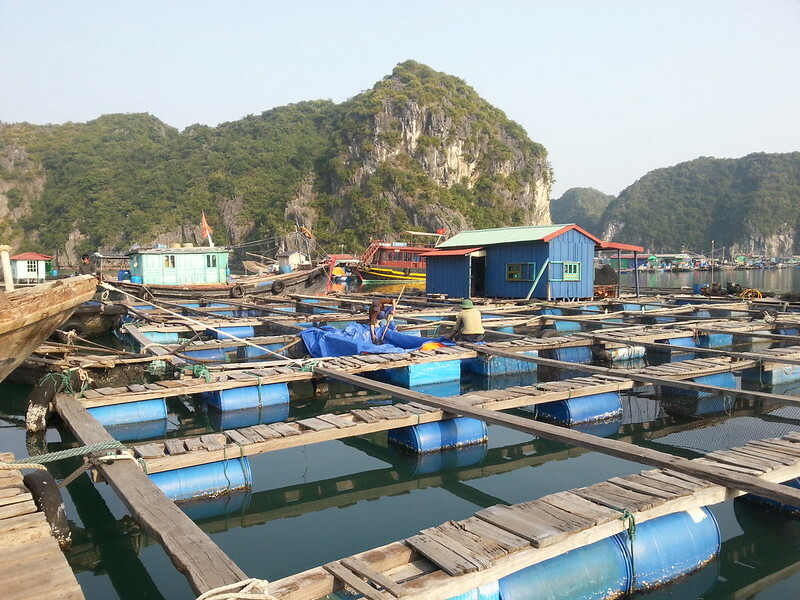 The integration of these four components provides a basis for the ongoing research agenda of integrated approaches to mitigating production risk and producer vulnerability in Southeast Asian aquaculture production.